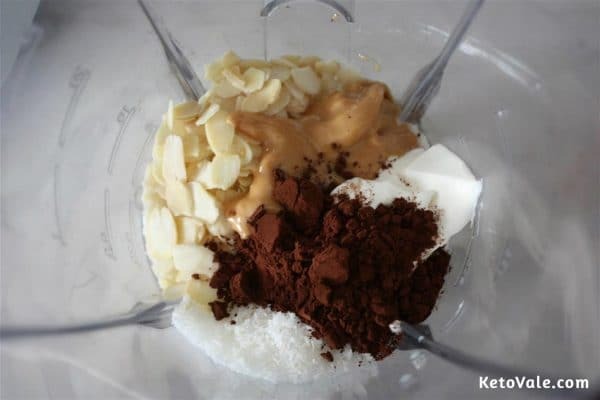 Make sure that the texture of the mixture is even – it will probably need a minute or two of mixing. 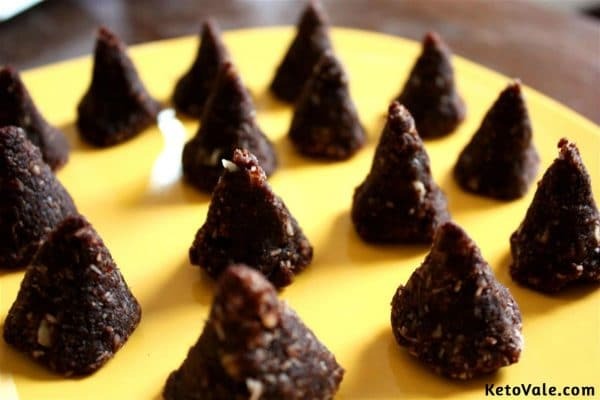 Make small balls (or pyramids – like we did) from the mixture – the easiest way is just to use your hands. Put in the fridge for 30 minutes. 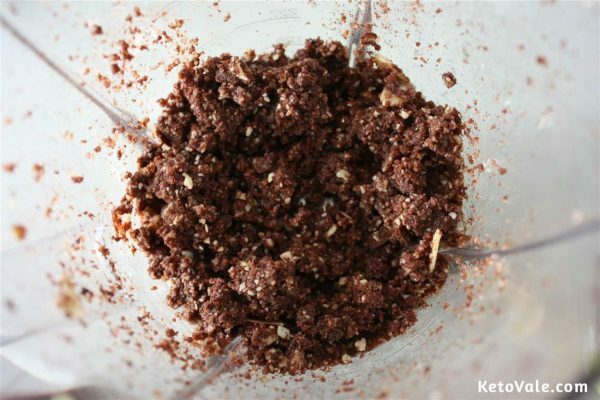 The mixture is enough to make about 15 small portions out of it. We find that balls are a little bit difficult to make because of the texture, but pyramids turned out great. You can add more shredded coconut as a topping, or dip the fatbombs in cream before eating. If you don’t like stevia, you can always use Erythritol or Xylitol. 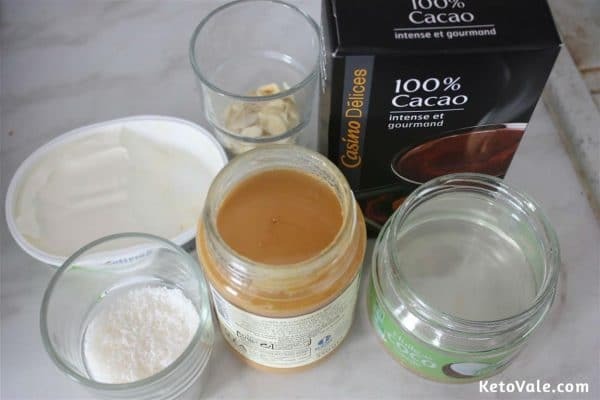 Make sure to use only peanut butter that contains only peanuts and nothing else (and especially not sugar), so always check the label before buying.